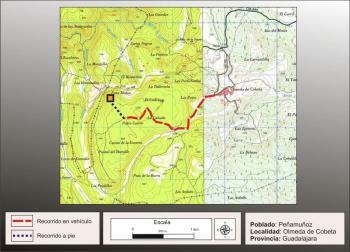 Molina de Aragon, from the N-211 will take the CM-210, after the petrol station (if coming from Teruel) or before the pump (anti), to take away, to the right, GU Cubillejo -418 up to the Sierra. 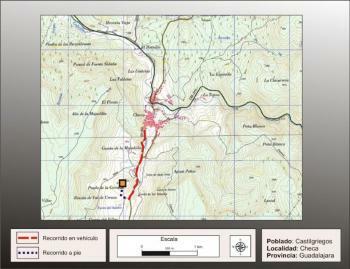 Before the last home of the village take a road to the left until you reach a point where it turns a little to the right along a arable land (to the left is the large hill where the western end is the castro) , continue along it until reaching the eastern base of the hill and up the road that crown, reaching the western end, where the fort. 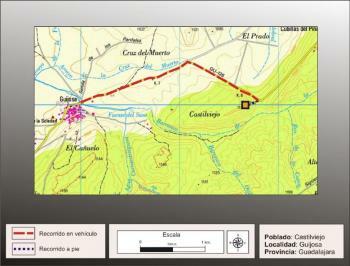 This town sits at the western end of the area known as the "Loma Gorda, north of town. 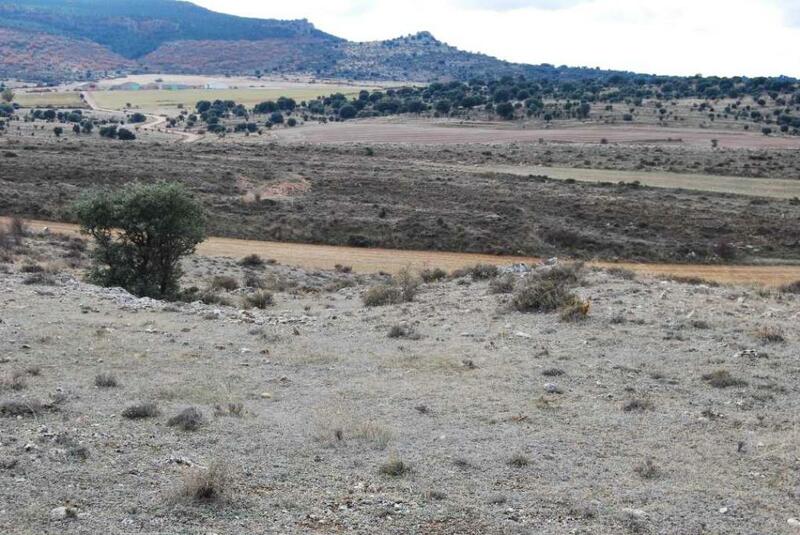 This is a large elevated plateau about 1 km long by 320 meters wide and a total of 28-hectare, with an altitude of 1.160m above sea level (about 40m above the surrounding terrain). 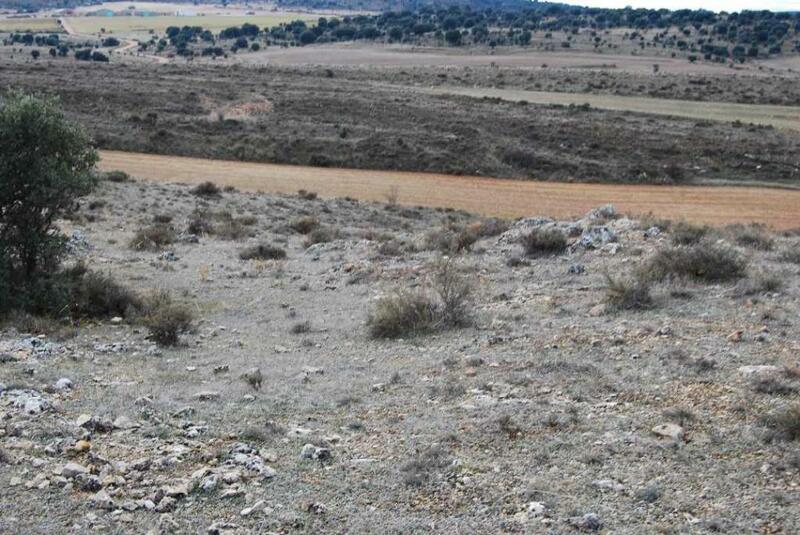 This site was picked in general works on Celtic-Iberian settlement in the region of Molina de Aragon, Arenas JA (1993 and 1999), but excavations at this site started recently, from 2008, directed by Maria Luisa Cerdeño archaeologists , Teresa and Martha Sagardoy Chordá as part of systematic excavations each summer starts the Ministry of Culture of the Junta de Comunidades de Castilla-La Mancha in collaboration with INEM .. Will have to wait some years for more comprehensive information from this site. Draws attention to its powerful defense system, which is surrounded by three walled enclosures, among which the most interior, built with cyclopean blocks, with a tower on its southeast corner that houses more than 4m high. 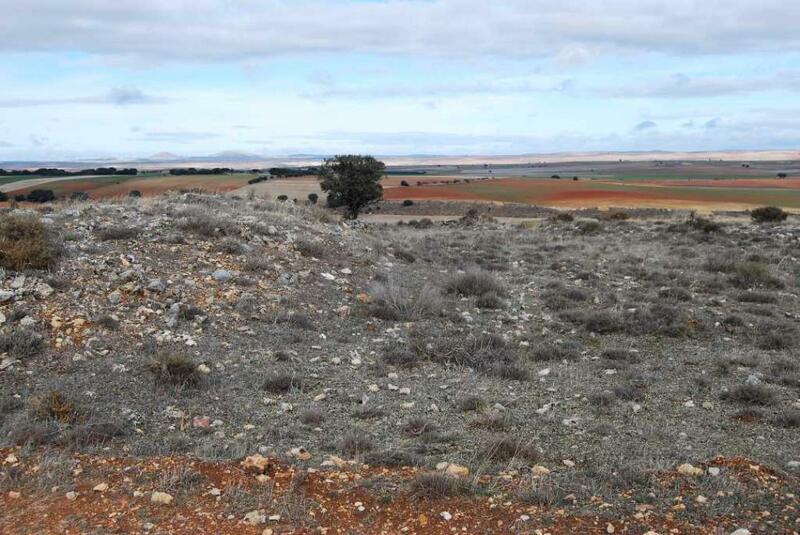 "The third site, the outermost, closed an area of 5 hectares The visible sections identify a wall of drawers, of 1,5-2 m. width, which remains in some places rows of stone up to 1.20 m. high. "The second area defines an area of approximately 2.5 hectares also appears to be a wall of drawers between 1.5 and 2 m wide, whose height reaches 2 m in places. 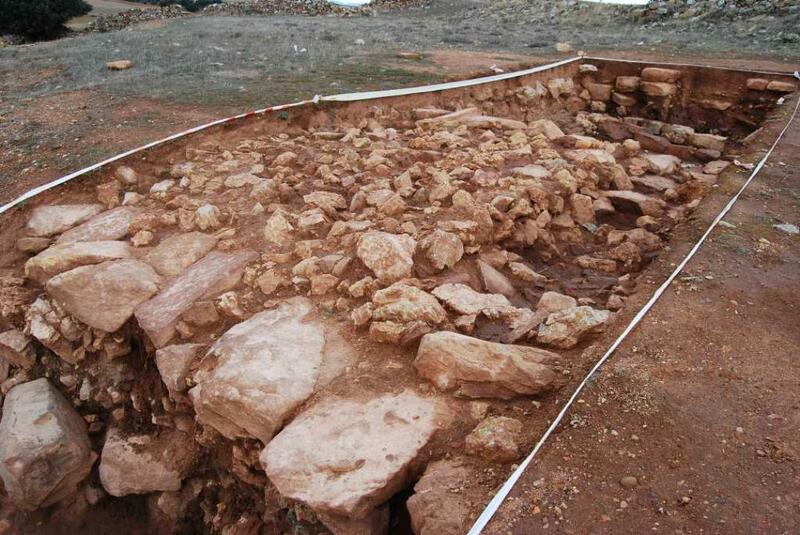 On the east side, near the main entrance of the oppidum possible, remains a square structure attached to the wall on the outside, only retains a row of large well-squared stones, perhaps foundations, and in the survey have appeared celtibérica pottery fragments. "The first venue is the innermost and highest on the hill. 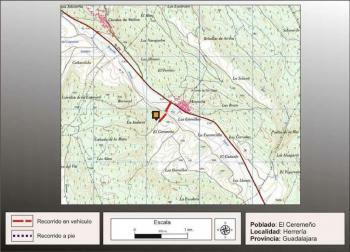 Closes an area of approximately 1.5 Ha (Fig. 4), maintaining an average height of about 2 m and a width of approximately 2 m. also. 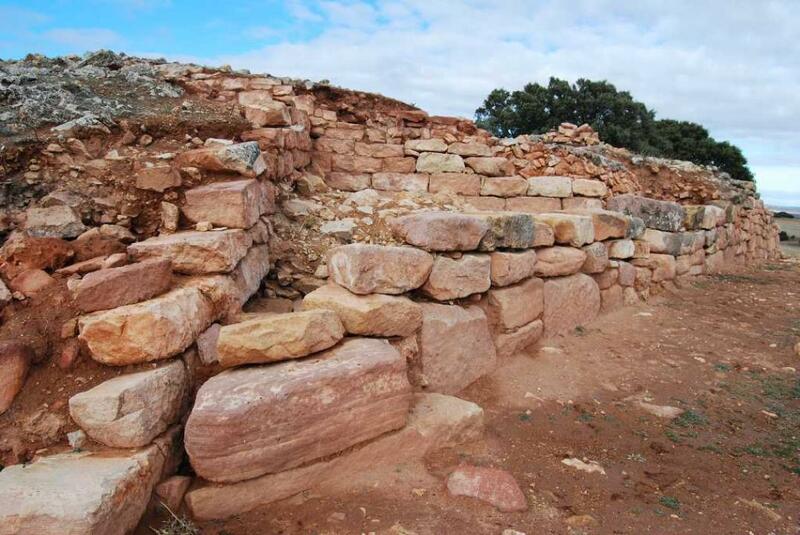 The structure of this wall is complex, expanding in the southeast corner, to accommodate a tower. It is a wall, the type of drawers, or compartments for filing internal divisions filled with stones and earth through walls or cross braces in order to gain consistency. 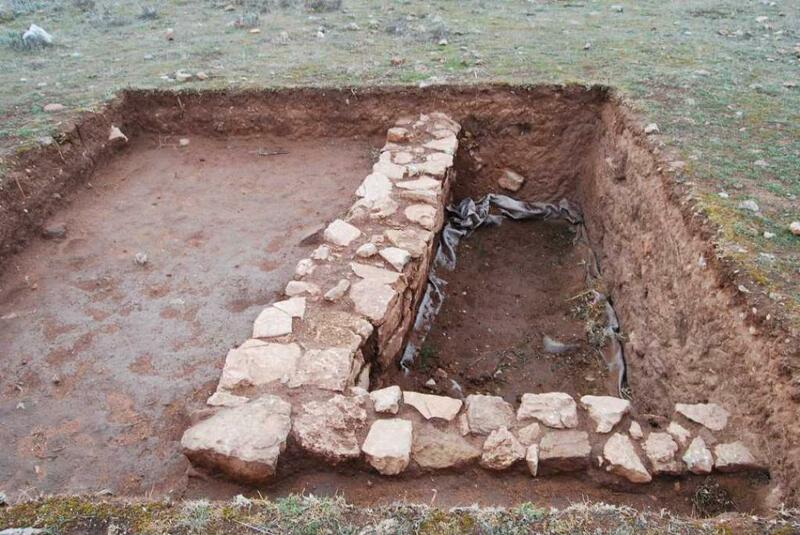 To see the internal structure of this wall was a trench 24 m long and 4 feet wide, shall be documented so that all parts of this building and not just the exterior and interior paintings. The results have been revealing in showing many structural elements, indices studied design. Ell scheme facing the wall from the outside to the inside consists of several elements: a rampart (1), a fill of rubble that builds the wall (2), the canvas or external face of the wall (3), filling earth and stones of the wall (4) which has found sustenance through a wall (5) and structural braces (6), the canvas or complete interior facing wall (7), attached to this facing has appeared stairs (8) to allow access to the tower and can walk round. 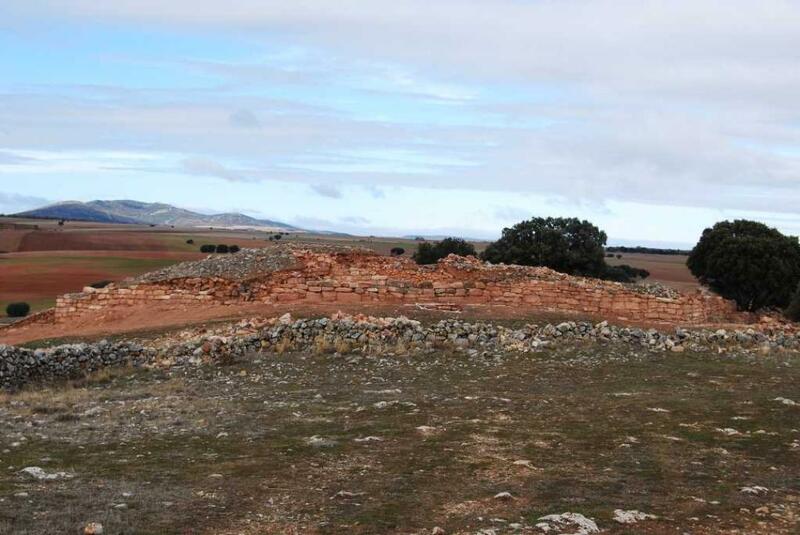 This wall has a number of construction resources that indicate the importance of this settlement, and that together with the necessary defensive aspects, this book introduces a value that is added to highlight the power and prestige of its occupants. 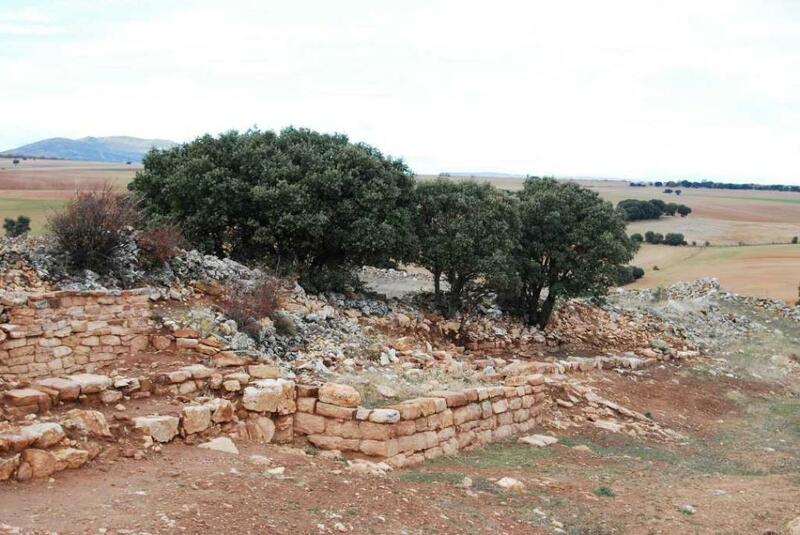 The widening of the wall in the southeast corner houses a circular tower that still has a height of 4 m and 11 m wide, which would protect the entrance to the indoor enclosure. Auque still to be excavated for a more complete information, such towers are not known in this area but in neighboring areas such as Aragon, from the third century C.
The tastings conducted in space have provided intramural rectangular buildings but could not specify either the urban layout, nor adequately define domestic space, unable to articulate or clear as many roads have. The chronology attributed to this town, which shows great body, would correspond to an advanced world time Celtiberian, III-I century a. C.
Arenas, J.A. 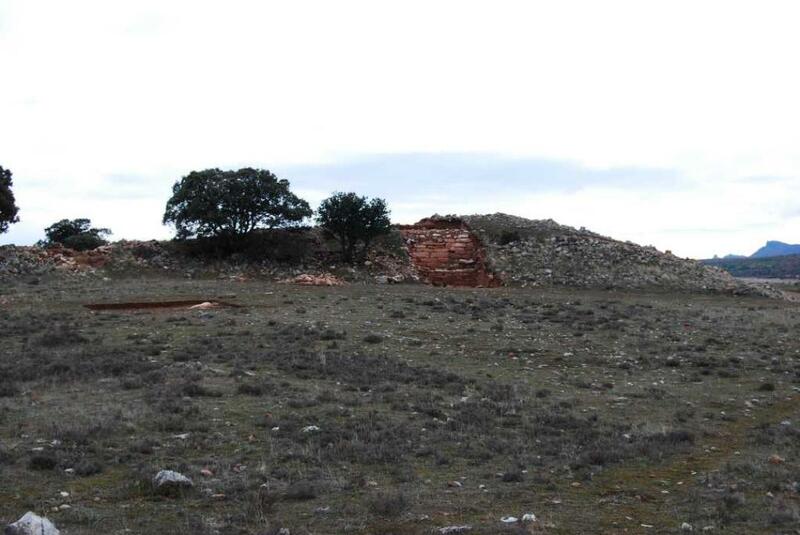 (1999): The settlement of the Iron Age II Depression Tortuera-La Yunta (Guadalajara). Complutum 4. 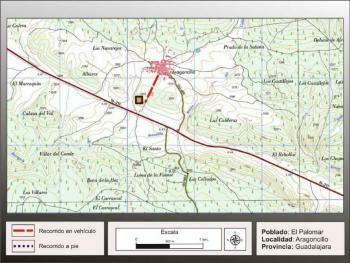 Cerdeño, M. L., García, R. Arenas, J.A. 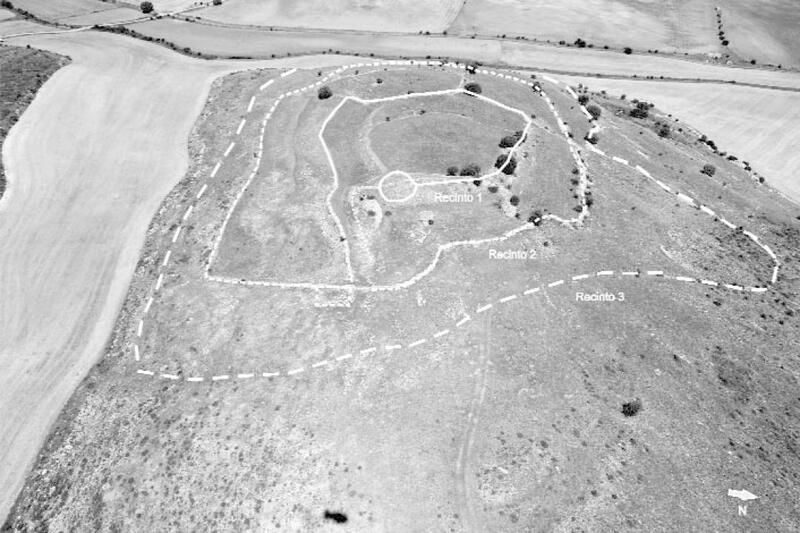 (1995): ElPoblamiento Celtiberian in the region of Alto Jalón-Alto Tajo, Celtíberos III Symposium, Zaragoza :157-201. 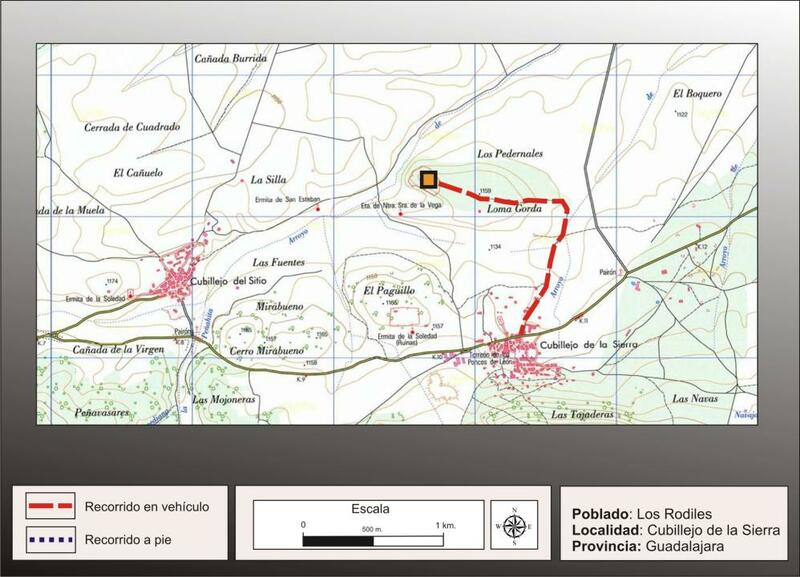 María Luisa Serrano Cerdeño, Sagardoy Teresa Fidalgo, Marta Chordá, Emilio Gamo (2008): Fortifications Celtiberian against Rome, the "oppidum"of Los Rodiles (Cubillejo de la Sierra, Guadalajara) Complutum, No. 19, 2008:173-189.